Here’s my first exercise in “class reskining” (basically, picking one class and changing the way his features are described). The Saint was built based on D&D 3.5 Warlock class (from the Complete Arcane sourcebook). The idea originated from my desire for an alternative divine form of magic (I never really enjoyed the fact that divine and arcane magic work in the same way). The Saint has a good number of new features and invocations, but it is still a reskinning of the dark Warlock. This new Pathfinder class wasn’t playtested yet so – as usual – any feedback is really appreciated. All references are to spells and features from the Complete Arcane or the Pathfinder Core Rulebook. The Saint’s class skills (and the key ability for each skill) are Appraise (Int), Craft (Int), Diplomacy (Cha), Heal (Wis), Intimidate (Cha), Knowledge (arcana) (Int), Knowledge (history) (Int), Knowledge (nobility) (Int), Knowledge (planes) (Int), Knowledge (religion) (Int), Linguistics (Int), Profession (Wis), Sense Motive (Wis), and Spellcraft (Int). Skill Points at Each Additional Level 2 + Int modifier. All of the following are class features of the Saint. Weapon and Armor Proficiency: Saints are proficient with all simple weapons. 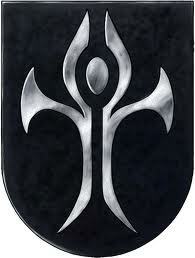 They are proficient with light armor but not with shields. A Saint’s invocations are spell-like abilities; using an invocation is therefore a standard action that provokes attacks of opportunity. An invocation can be disrupted, just as a spell can be ruined during casting. A Saint is entitled to a Concentration check to successfully use an invocation if he is hit by an attack while invoking, just as a spellcaster would be. A Saint can choose to use an invocation defensively, by making a successful Concentration check, to avoid provoking attacks of opportunity. A Saint’s invocations are subject to spell resistance unless an invocation’s description specifically states otherwise. A Saint’s caster level with his invocations is equal to his Saint level. The save DC for an invocation (if it allows a save) is 10 + equivalent spell level + the Saint’s Charisma modifier. Since spell-like abilities are not actually spells, a Saint cannot benefit from the Spell Focus feat. 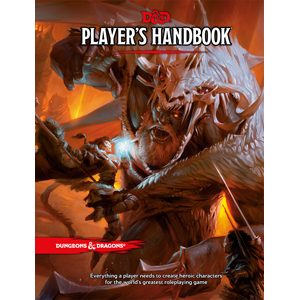 He can, however, benefit from the Ability Focus feat (see page 303 of the Monster Manual), as well as from feats that emulate metamagic effects for spell-like abilities, such as Quicken Spell-Like Ability and Empower Spell-Like Ability (see pages 303 and 304 of the Monster Manual). The four grades of invocations, in order of their relative power, are least, lesser, greater, and divine. 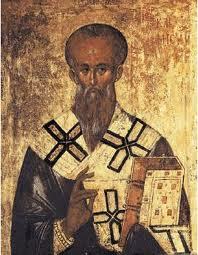 A Saint begins with knowledge of one invocation, which must be of the lowest grade (least). As a Saint gains levels, he learns new invocations, gaining 1 new invocation per level. A list of available invocations can be found following this class description, and a complete description of each invocation can be found in Chapter 4 of this book. At any level when a Saint learns a new invocation, he can also replace an invocation he already knows with another invocation of the same or a lower grade. At 6th level, a Saint can replace a least invocation he knows with a different least invocation (in addition to learning a new invocation, which could be either least or lesser). At 11th level, a Saint can replace a least or lesser invocation he knows with another invocation of the same or a lower grade (in addition to learning a new invocation, which could be least, lesser, or greater). At 16th level, a Saint can replace a least, lesser, or greater invocation he knows with another invocation of the same or a lower grade (in addition to learning a new invocation, which could be least, lesser, greater, or divine). Saints can qualify for some prestige classes usually intended for spellcasters; see Saints and Prestige Classes, page 18, for details. Divine fire (Sp): The first ability a Saint learns is Divine fire. A Saint attacks his foes with heavenly wrath power to deal damage and sometimes impart other debilitating effects. A Divine fire can be used either as a ray (ranged touch attack with a range of 60 ft.) or as a melee touch attack. A Divine fire allows no saving throw and can be used as a standard or full-round action. A Divine fire deals 1d6 points of damage at 1st level and increases in power as the Saint rises in level. A Divine fire is the equivalent of a spell whose level is equal to one-half the Saint’s class level (round down), with a minimum spell level of 1st and a maximum of 9th when a Saint reaches 18th level or higher. A Divine fire is subject to spell resistance, although the Spell Penetration feat and other effects that improve caster level checks to overcome spell resistance also apply to divine fire. A Divine fire deals half damage to objects. Metamagic feats cannot improve a Saint’s Divine fire (because it is a spell-like ability, not a spell). However, the feat Ability Focus (Divine fire) increases the DC for all saving throws (if any) associated with a Saint’s Divine fire by 2. See page 303 of the Monster Manual. Divine touch (Sp): A saint can heal by the touch of his hand as standard action. He heals a number of hit points equal to his divine fire dice. He can use this ability as often as he likes, but he can only heal a target until half his maximum hit points. Heavenly Strike (Su): Beginning at 2nd level, before attacking with a weapon, a Saint can add his divine fire dice to the damage roll. Heavenly strike also gains a bonus to attack roll equal to the number of divine fire dice possessed by the Saint. Heavenly strike can be used once per round. Detect Alignment (Sp): Beginning at 2nd level, a Saint can use detect evil/good/ law/chaos as the spell at will. His caster level equals his class level. Damage Reduction (Su): Fortified by the divine power flowing in his body, a Saint becomes resistant to physical attacks at 3rd level and above, gaining damage reduction 1/evil. Upgrade the damage of his next divine fire attack to d8s (or d10s against undead). Upgrade the effect of his next divine touch to d8s. Recover a number of hit points equal to the result of a divine fire roll. This manifestation can only be used once per day or twice at 10th level. Doubling his damage reduction for the next 5 rounds. Doubling his holy resilience for the next 5 rounds. Gaining immunity to one type of energy damage (except negative/positive) for the next 10 rounds. Treated as a native good outsider for the next 5 rounds. While using divine manifestation, the Saint visibly glows with heavenly power, like the spell daylight. He also gains a bonus to Intimidate equal to half his class level. Divine manifestation can be used at will, but just once every 10 rounds. At 10th level, a Saint can use divine manifestation once every 5 rounds. Divine protection (Su): At 6th level, the Saint is constantly under the effect of a protection against evil. At 11th level, this becomes a magic circle against evil. If dispelled, the Saint can active this ability again with a swift action. Holy Resilience (Su): Beginning at 8th level, a Saint possess holy resilience. Once per day, as a free action, he can enter a state that lasts for 2 minutes. While in this state, the Saint gains fast healing 1. At 13th level, a Saint’s holy resilience improves. When in his holy resilience state, he gains fast healing 2 instead. At 18th level, a Saint’s holy resilience improves to fast healing 5. Energy Resistance (Su): At 10th level and higher, a Saint has resistance 5 against any two of the following energy types: acid, cold, electricity, fire, and sonic. Once the types are chosen, this energy resistance cannot be changed. At 20th level, a Saint gains resistance 10 against the two selected types of energy. Imbue Item (Su): A Saint of 12th level or higher can use his supernatural power to create magic items, even if he does not know the spells required to make an item (although he must know the appropriate item creation feat). He can substitute a Spellcraft check (DC 15 + spell level for arcane spells or 25 + spell level for divine spells) in place of a required spell he doesn’t know or can’t cast. If the check succeeds, the Saint can create the item as if he had cast the required spell. If it fails, he cannot complete the item. He does not expend the XP or gp costs for making the item; his progress is simply arrested. He cannot retry this Spellcraft check for that spell until he gains a new level. Heavenly Aura (Su): At 16th level and higher, a Saint can, as a move action, channel positive energy in a 30-ft. radius centered on himself. He rolls a number of dice equal to half his divine fire (rounded down). Living creatures recover a number of hit points equal to the rolled value (until they reach half their maximum hit points), while undead creatures suffer damage. No saving throw is allowed. Avatar (Su): At 20th level, a Saint’s type changes to outsider (good, native). He can use divine manifestation to treat an attack roll, ability score check, skill check, saving throw as natural 20. Once every 7 days, if killed, he’ll raise from the dead in 1d4 days (as if true resurrection). Finally, his spell-like and supernatural class abilities can’t be dispelled, suppressed, negated or countered by anything lesser than an artifact or deity (outsiders and dragons with CR 30+ can be considered of deity-level). Holy Command: Speak word of the High Celestial and affect target as the command spell. Learn the Celestial and Infernal languages. Soothing Influence: Gain a +8 bonus on Diplomacy checks against unfriendly or hostile creatures to befriend them, even if they don’t understand you. You can also use Diplomacy to calm animals, dragons and magical beast, but without the +8 bonus. Burden of the Mountains: You ignore the penalties of medium and heavy loads, and the fatigued condition. This invocation is suppressed if you use medium or heavy armor. Blessing of the Highest: Gain a luck bonus on one type of save (as Dark One’s Own Luck). Song of Light: Use light as the spell for as long as you’re able to sing (using a move-action). Illuminated Sight: Can make a class level check (CD 11 + effect’s caster level) to ascertain if any object or structure within line of sight is an illusion. Only once attempt per target is allowed. Anchoritic Bearing: You’re constantly under the effect of endure elements. Divine Blast: Blast range increases to 250 feet. Angels’ Student: Deflect incoming ranged attacks, leave no trail, and prevent being tracked by scent (as Entropic Warding). Wrathful Blast: Target must make Will save or become shaken. On Angels’ Wings: You either gain a +10 bonus to one Jump check (treat it as if using a running start) or feather fall. Weathering Blast: Target must make Fortitude save or become sickened. Water walk: Gain water walk as the spell, but for 24 hours. If you kill any aquatic animal you lose this invocation for 24 hours. Spirit Brother: You can summon a lantern archon (as summon monster, but with a duration of 24 hours). If the archon is dispelled or killed, you can only summon another after 1 hour. Lord of Doors: You can use knock at will, but only once against a particular lock, door or chain. Finally, you can assume gaseous form at will with the sole intent of passing through slits of door, windows, gates and other portals. You must be adjacent to the door or passage. Blinding Light Blast: Target must make Fortitude save or become blinded for 1 round. Sacred Flames Blast: Blast deals fire damage, and target must make Will save or catch fire. These holy flames can only be extinguished by a successful save or dispel magic. Divine Awe: You’re constantly under the effect of sanctuary. If you hold the hands of another creature, she’s also protected (maximum of 2 extra targets). This invocation is suppressed if you attack any creature, except constructs, dragons, undeads, vermin, evil outsiders or fey. Heaven’s Denial: Curse one creature as the bestow curse spell, or hinder its attacks (as Curse of Despair). Greysight: Speak with the dead spell and hide from undead at will. Chaining Blast: Blast jumps from initial target to secondary targets. Brother to Birds: You can polymorph in a tiny, small or medium bird (like the beast shape spells). In this form you can talk with birds and bird-like magical beasts (Int 3 or less). These creatures won’t attack you unless you attack first. This invocation allows you to use animal messenger at will. Language of the Birds: You can speak, understand and be understood by any creature with a Good alignment, even those that doesn’t speak any language. Roaring Blast: Blast deals sonic damage, and target must make Fortitude save or become deaf for 3 rounds. Song of Glory: You cast a daylight spell centered on yourself for as long as you’re able to sing (using a move-action). Evil creatures inside the area must succeed at a Fortitude save or become blind. The blindness ends 3 rounds after they leave the daylight area. Stony Grasp: Use stony grasp as the spell. Hound of the Heavens: You can smell tainted and unnatural creatures. This invocation works like scent, but only against undeads, fey, evil outsiders and evil divine spellcasters. This invocation also allows you to sense necromancy spells, as detect magic. Both abilities can be used at will. Holy Dispelling: Use dispel magic as the spell, causing damage to creatures whose effects are dispelled. Wall of Purification: Use wall of water as the spell, but made of holy water. Stigmata Blast: Target gains bleed equal to the number of divine fire dice rolled. Summon the Elusive Host: This invocation summons shinning and ephemeral angelic shapes that instantly start to grapple any creature engaged in violent actions. The celestial spirits only release those that drop their weapons and surrender from violent actions. Any attempt to start such type of action instantly provokes an attack of opportunity from the spirits. This invocation works like black tentacles, but the grapple modifier is equal to the caster level + 10 and the spirits deal 2d6 points of nonlethal damage to targets that attempt to break the grapple. Sin Eater: Use targeted greater dispel magic with a touch. If the dispelled effect originates from a evil spell, spellcaster or from undeads, fey and evil outsiders/dragons, the Saint is healed a number of hit points equal to the target’s caster level. Trumpet Blast: Blast takes the shape of a cone. Empyreal Halo: Blinding light emanating from the Saint grants total concealment areas and impose a Strength penalty on adjacent undeads, fey, evil outsiders/dragons and evil divine spellcasters (otherwise as Enervating Shadow). Breath of the Archangels: Targets of your blasts must make Fortitude save or be exhausted and slowed. Undeads, fey and evil outsiders/dragons are nauseated instead of slowed. The slowed condition lasts for a number of rounds equal to the Saint’s caster level. Repelling Blast: Target must make Reflex save or be knocked back. Divine Plague: Use insect plague as the spell, but the summoned locust swarm deals damage as a magic weapon. Wall of Perilous Flame: Create a wall of fire as the spell, but half the damage from the wall results from divine power. Saint’s Call: Use sending as the spell, but you’re fatigued for the next hour. Discard the Flesh: Become incorporeal. While incorporeal you can’t run, but you can affect corporeal targets with your divine fire and divine touch abilities. You constantly shed light as a daylight spell. Divine Providence: Use foresight as the spell, and communicate telepathically with a close target of the effect (as Dark Foresight). Supernal Utterance: Blast affects all enemies within 20 feet (as Eldritch Doom). Inhalation of the Heavens: Use breath of life as the spell at will; targets that come back from the dead gain the celestial sample template for the next 24 hours (if of non-evil alignment). Channel the Messenger: You channel an astral deva through your mortal shell. This invocation works like summon monster IX, but the summoned creature occupies and fuses with the Saint’s body. You effectively becomes a deva. You always channel the same celestial, so keep track of used spell-like abilities. You can’t use plane shift while channeling. After sleeping, you recover any spent spell-like abilities. If you’re killed while using this invocation, the channeled celestial is destroyed and you can’t use this ability again until atoning for such dread sin. Praying to Sky and Stone: You can speak with the elements and ask questions regarding local events. This invocation works like commune with nature, but limited to the immediate surroundings of the particular elemental spirit with whom the Saint is talking. Any interaction must be roleplayed and elemental spirits pay attention only to things of interest to them (a mountain doesn’t care about small humanoids, but may notice the presence of giants or dragons). Finally, the Saint can call lesser spirits to assist him. This last ability works like summon monster V (small, medium or large elemental only), but with an indefinite duration. A Saint can only have one earth, fire, water and air element summoned at a time (thus four elementals at his service). These creatures rarely venture far from their original lairs. I’m (slowly, very slowly... actually almost tectonically-slowly) reading the Inner Sea World Guide and I’m quite enjoying it. One of the entries that I read last week was about the undead nation of Geb and of how its ghostly monarch used potent “wish-magic” to wage war against its nemesis, the archwizard Nex. This got me thinking on Wish and high level magic. Wish, theoretically, is the magical pinnacle of Pathfinder (and before it D&D) for most characters. It represents the kind of power sought by any wizard or sorcerer – the ability to change reality to the caster’s desires. And it is something incredibly bland and non-epic in my opinion. How can we make Wish more epic and interesting without changing its basic rules and mechanics? Here’s a small suggestion that expands the idea of Wish to encompass our good Geb’s “wish-magic” stuff. Undo misfortune. A wish can undo a single recent event. The wish forces a reroll of any roll made within the last round (including your last turn). Reality reshapes itself to accommodate the new result. For example, a wish could undo an opponent's successful save, a foe's successful critical hit (either the attack roll or the critical roll), a friend's failed save, and so on. The re-roll, however, may be as bad as or worse than the original roll. An unwilling target gets a Will save to negate the effect, and Spell Resistance (if any) applies. The catch is that now true wish requires an additional and special component: an outsider’s true name, body part or relic. And not only from any outside but from a special and unique creature like: solars, agathion leaders, infernal dukes and archdukes (and archdevils), balor lords or demon lords, titans, Eldest/fey lords, asura ranas, pleromas, rakshasa immortals, olethrodaemon paragons (or even one of Four Horsemen), kami lords, akvan princes, yamarajs, noble genies, empyreal lords, kyton demagogues, elemental princes etc. (Anything below a true deity, including a few unique outsiders, legendary figures – like Baba Yaga – and quasi-deities). A true wish allows a caster to reach higher levels of power, but at greater risk. Things like true immortality, potent powers, access to unique artifacts or dimensions etc. are the province of such creatures. Meta-gamely speaking, this new requirements will make these types of Wish more memorable and hard to get, besides granting all types of hooks, quests and adventure-material for your campaign (even if the party is of a lower level, a true wish is the perfect opportunity for an archwizard to hire the service of adventurers). Finally, using a Wish through the lens of a particular outsider gives the Gamemaster excellent guidelines to properly adapt (and corrupt) the wisher’s interpretation. Finally, beyond spell channeling and true wish, lies the potent (and dangerous) field of the true dweomers. This is what Geb was doing when he transformed Nex’s borders into a wasteland. A true dweomer is a potent spell, with can only be used once and in particular time and/or circumstance; almost like a ritual. I doesn’t possess level requirement besides lots of casting of Wish, rare components, specific locations, unearthly knowledge requisites etc. In other words, I’m totally stealing from Swords & Wizardry’s advice – treat truly epic magic (of the type that create flying islands and destroy mountains) as a magic item research. Make each true dweomer unique, very specific and hard to get. Also don’t forget that – when the true dweomer is finally finished, lock and loaded – that it’s something extremely potent. You don’t need a Epic Level Handbook or extremely complex magic systems, just good hooks and challenging quests. Hope this idea can help your campaigns. A better title would’ve been “What I’m trying to read...”. Sometimes I believe I’ve been studying for a public job my entire life (and the previous 2d4 incarnations). The feeling is almost “vancian” in that you have to constantly keep a large part of your brain occupied with arcane e esoteric (besides useless) information that, once you’re going to make a test, is forgotten. However, I’m still reading game stuff (thanks God!) and fantasy literature (thanks Crom!). The later has been dedicated to finish some Leiber and Burroughs romances. 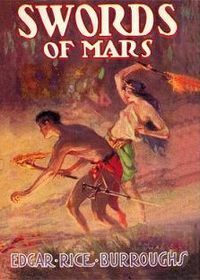 The fact that I’m reading both authors’ weakest novels (“The Mouser goes below” and “Swords of Mars”) isn’t helping. On the game side of things, I’m finishing the Inner Sea World Guide and loving it. It isn’t simply a Pathfinder-version of the Golarion setting, but a vastly improved version of the original product – both graphically and in terms of material. 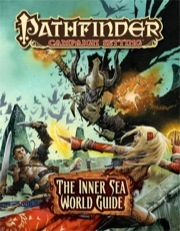 Paizo even managed to turn the most boring nations in a good read (Andoran and Galt, I’m looking at you). And the “pulpier” parts of Golarion (like the Land of the Mammoth Lords and Numeria) are even better. It’s a must for all fantasy gamers. Golarion isn’t original, no sir, but it’s a great amalgam of the various types of fantasy (better than the Realms from 2nd and almost as fun as Mystara). 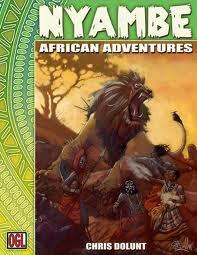 I’m also re-reading Nyambe. This is an old 3.0 D&D supplement from Altas Games for running campaigns in a fantasy Africa-like setting. This is not ancient/mythological Africa, but “D&D Africa” (in the same way that Greyhawk is “D&D Europe”). It’s funny, interesting, light and very useful. Nyambe is a wonderful game accessory; it has a complete and portable setting, together with nice rules, tons of variant and prestige classes, new races, spells, a cool bestiary (with advice on reskinning monsters for African-based lands) etc. This is how every game supplement should be. For those that love Old School stuff or just like to read about the hobby’s origins and the various projects and interpretation that never managed to see the light of the day, here are two good suggestions. First there is this small (and free) PDFfile, from the Original D&D Discussion forum, that tries to “decode” the ever elusive “official” combat system use by Dave Arneson on his Blackmoor campaign. Finally, there’s a similar but bigger project by Daniel Hugh Boggs, of Dragons at Dawn fame. He opened a Kickstarter project for a new game based on Arneson material (including personal notes) – Champions of Zed. I’m already a backer and I’m reading the first draft. Very interesting stuff. 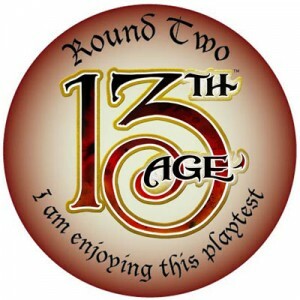 For those that like D&D 4E and/or love Jonathan Tweet’s material (like me) – stay tuned for 13th Age. 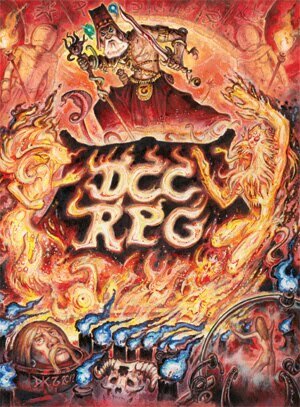 Unfortunately I missed the playtesting’s subscription, so most of what I know comes from this thread at RPGNet. 13th Age is, basically, a remake of D&D 4E (it evens has Rob Heinsoo on it), mixed with “indy sensibilities” (whatever that means). At first, it really sounds like a heartbreaker project, but it got Tweet and is being published by the great guys of Pelgrane Press. A closer look already revealed a meta-game tool that I loved – the Icons. These iconic and abstract NPCs are the most original and interesting mechanism for setting creation/development that I read in a long time. Let’s wait and see (I dearly hope that there’s no grid combat).